^ Münch, Karlheinz (2005). 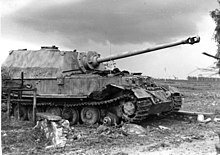 The Combat History Of German Heavy Anti-tank Unit 653 In World War II. Stackpole Books. ISBN 0811732428. https://books.google.com/books?id=eONpj6gjD1UC.